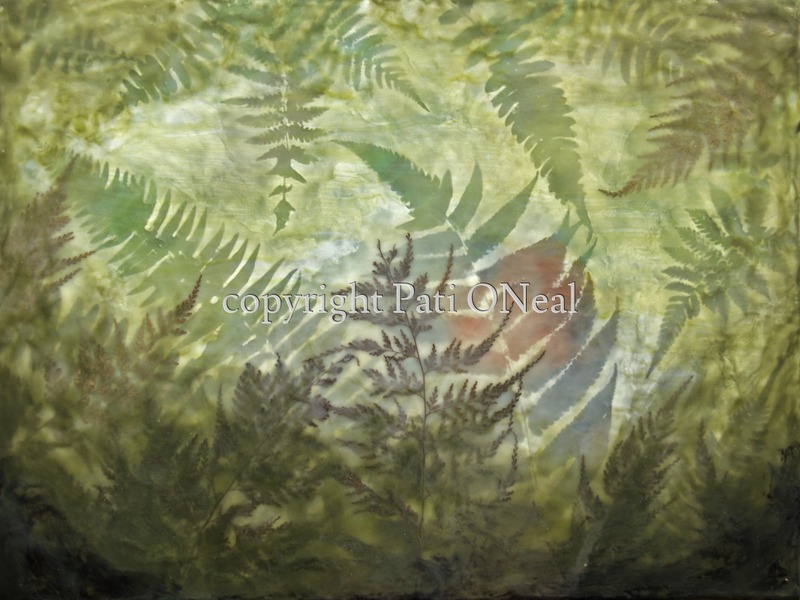 A variety of actual dried ferns as well as depictions of ferns are captured in this multi-layered work. Original encaustic painting on cradled panel. Currently available at Sunshine Arts Gallery in Kahalu'u, Oahu. For a similar commission, contact the artist.